Mixology Monday is here again, hosted this month by Sonja at Thinking of Drinking, and this month’s theme is a favorite of ours: absinthe! Anise liqueurs have been a staple in our home bar for years, ever since we walked into a bar in Provence and ordered pastis without having a clear idea of what we’d be getting. 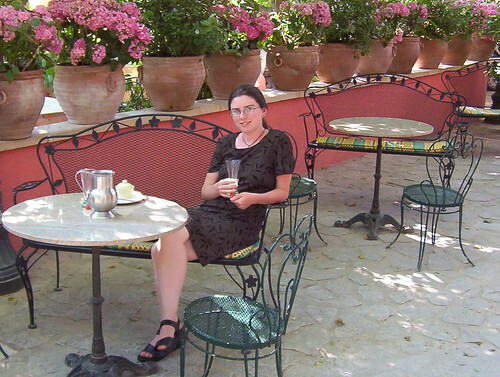 When our order turned out to include two small glasses partially filled with clear green liquid, a metal jug of ice water, beaded with condensation, and a plate of bread and tapenade, served at a little table on a sunny patio on a hot afternoon, we fell instantly in love. From then on, the flavor of pastis – or any anise-flavored alcohol – takes us back to that trip and those lovely long evenings. For a long time we only kept a bottle of Pernod on hand, so we could drink pastis on hot summer days (of which we get relatively few here in Western Washington). 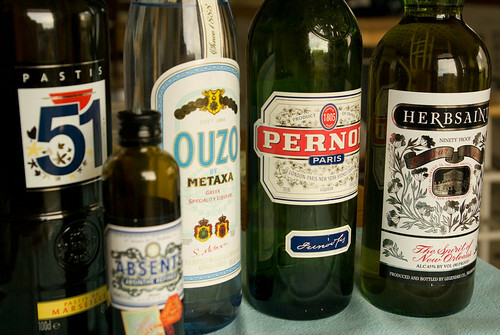 We tried arak on our last trip to Paris (at the World Arab Institute restaurant), and while we couldn’t find any to buy at home, we did spring for a bottle of ouzo. We also have a bottle of Pastis 51 which we picked up at the Paris airport – it has a distinctly different flavor than Pernod. And when real absinthe became available again in the US, we bought a small bottle to try, and started using it in mixed drinks. Probably our favorite anise-flavored cocktail is the Corpse Reviver #2, the drink that really got us on the road to our current cocktail obsession. 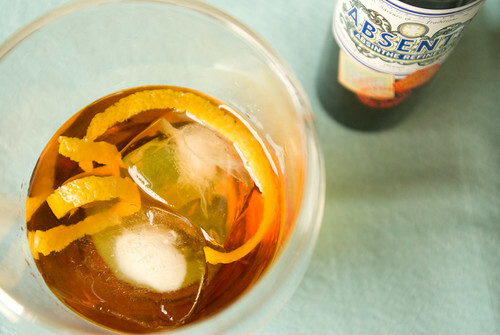 The classic Sazerac is wonderful, too, with its Herbsaint rinse. We spent some time experimenting, though, and found this rather elegant concoction of gin, amaro and absinthe with the slightly annoying name Gin & Sip. 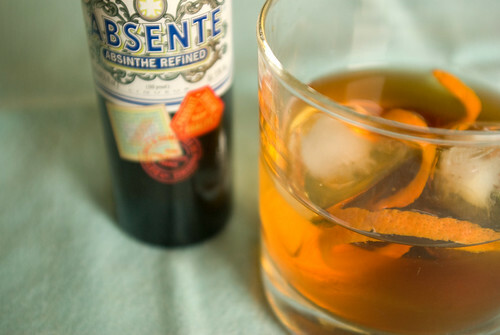 The absinthe is just a rinse, but it adds a subtle level of flavor. We’ve also tried upping the amount of absinthe to as much as ½ ounce, and that’s pretty tasty as well, giving the drink a strong anise edge. Amaro is a broad category. Jon recently fell in love with Cynar, an artichoke-flavored liqueur, and that’s what we’ve been using for this drink. It makes for a nicely bitter drink with some earthy overtones. It might be fun to try it with Fernet Branca, just for the extra depth, but a lighter amaro makes for a better balance. Rinse out a rocks glass with a splash of absinthe. Stir the gin and Cynar together with ice, strain into the glass and add more ice to taste. Garnish with a lemon or orange twist. I love Cynar too, and will have to try this recipe. Cheers! If you’re looking for Cynar-based drinks, I stumbled across a drink called a Trident, invented by Drink Boy (Robert Hess). It’s essentially a Negroni, but with aquavit in place of the gin, Cynar in place of the Campari, and sherry (I actually ended up using marsala) in place of the vermouth. I know it sounds weird, but it works surprisingly well.